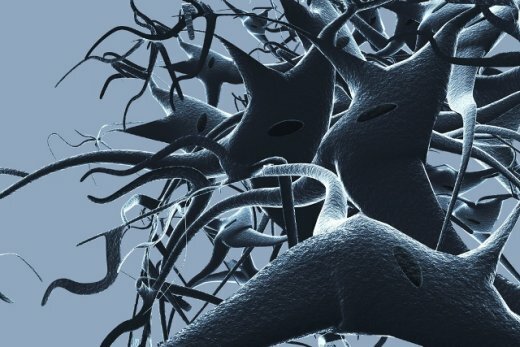 In Alzheimer's disease, brain neurons become clogged with tangled proteins. Scientists suspect these tangles arise partly due to malfunctions in a little-known regulatory system within cells. Now, researchers have dramatically increased what they know about this particular regulatory system in mice. Such information will help scientists better understand Alzheimer's and other diseases in humans and could eventually provide new targets for therapies. In a study released online in the Proceedings of the National Academy of Sciences Early Edition this week, the team at least doubled the number of proteins found to be subject to a type of regulation based on a sugar known as O-GlcNAc (oh-GLIK-nak). The O-GlcNAc system likely adds another layer of control to the proteins that serve as a brain cell's widgets and gears—control that might be muddled in Alzheimer's brains known to have problems in sugar metabolism.